Creating an active soil system is fairly simple once the compilation of your soil is determined. The soil system will already be activated by irrigation of your soil. Unfortunately is the mixture of soil insufficient to maintain an optimal working active soil system throughout the entire cycle. The addition of mycorrhiza and bacterium benefit the mechanisms of the agro ecosystem, your active soil system to last an entire cycle. A proper working active soil system will improve the applicable control during a cycle and will enhance the quality of your produce. The use of substratum has a large impact upon the market of cannabis, and represents the opposite of Sannie’s beliefs. The use of substratum enables only minimal biological activity (active soil system) and is in case stone wool is used totally absent. The use of substratum has no precautionary effect because it lacks positive organisms. The unhindered unfavorable organisms can eventually lead to a negative active soil system. In this regard every illness of the plant can be considered to be the consequence of a disturbed balance of your soil. The use of pesticides or additional (chemical) fertilizers only fights the symptoms of illnesses and will not prevent the risk of other diseases. Thus far the available pesticides and fertilizers have not been able to ban any form of illness. Instead nowadays growers are facing a plurality of problems with their crops. These problems should not be met with mentioned means but should be restrained by adding the correct bacterium and fungus. The addition of fungus will establish a symbiotic relation with the plants. The mycorrhiza will provide the plants with support in extracting minerals from the soil in exchange for sugar secreted by the roots. 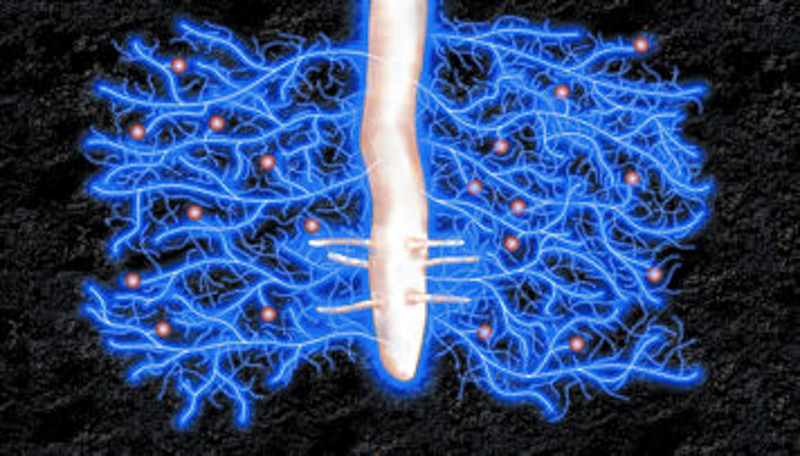 The mycorrhizas will create and establish new colonies will extend alongside the entire root system. The microscopic magnitude of these fungus colonies will bear no problems. The total length of established colonies can develop several kilometers. 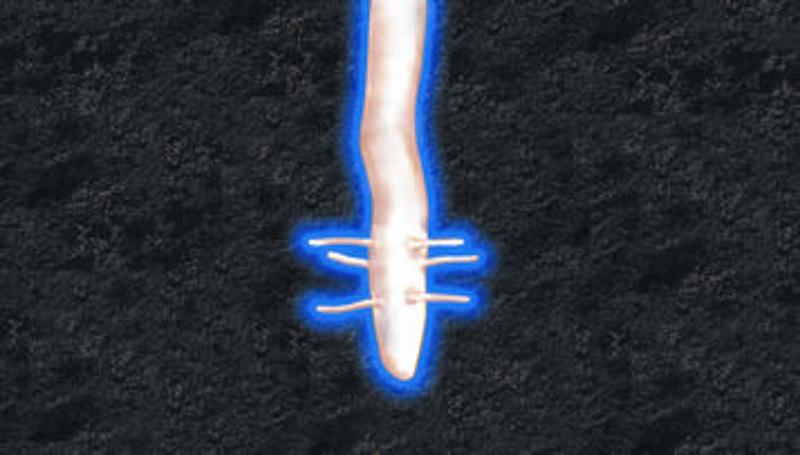 In comparison, the roots of in average 0, 2 mm are still about eighty times larger in comparison to the diameter of the fungus colonies, and therefore not able to form an equally delicate system. The absence of mycorrhiza colonies will lead to only 10 % use for root development of the available soil capacity (average lifespan of 6 weeks). This means a shocking 90 % of the soil’s minerals and water will be left untouched. The development of your plants is sizable influenced by the active soil system. The active soil system needs to extract the necessary organic elements for the development of your plants. Besides this basic functionality mycorrhiza contains more advantages. Bacterium and fungus invert the organic elements into nutrients for the plants, but also feed of these inverted nutrients. The consummation of the bacterium and fungus will release bonded nutrients. The positive effects of a good working active soil system will lead to higher yields and improved quality of your crops. A good working active soil system is especially advantageous in managing the available nutrients of your soil. An active soil system ensures the availability of the requested nutrients. This is contrary to direct (chemical) nourishment management, depending on the grower’s judgement of the accurate requested nutrients. It is not hard to imagine the latter creates common apparent problems for growers. Creating a good working active soil system is easier and more efficient, because it enables the plants to absorb the necessary nutrients. Hello, first of all I am really satisfied with your organic fertilizer system which for my part has made these proofs however I would like for optimal performance, know which land to recommend you to start with your mix? What potting soil would be best? Very interesting and logical good read keep up the good work sannie &knutsel!